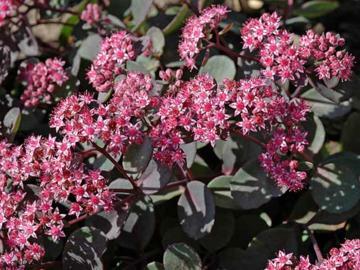 Attractive deciduous perennial with spreading stems of bluish-purple leaves and loose clusters of star-shaped, soft dusky pink flowers in September and October. Well drained, dryish, poor soil in sun. Rock gardens, border edges, raised beds.